Nubiq have just launched the beta version of their second product – Mobiseer. 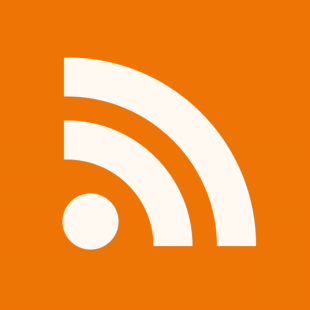 Mobiseer is a social bookmarking tool for your phone. I wrote about their earlier product, Zinadoo – a website creation tool for mobile websites, last May. 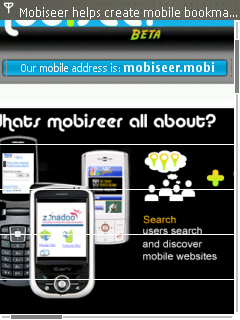 Mobiseer is available via the web and also on your phone’s browser at mobiseer.mobi. I must say the idea of having your bookmarks available and synchronised across both my computer and phone browser is quite appealing so I decided to try mobiseer out. I created an account using my computer. Created a bookmark and then attempted to log in via my phone’s browser. Unfortunately, this is when things started to fall apart! When I attempted to browse to the .mobi site, I kept being re-directed to the .com site. The .com site has a handy note telling me about the .mobi site which, annoyingly, wasn’t a link – mind you if it was it would probably have re-directed me back to the .com once more! Ignoring that for a minute, I attempted to login but unfortunately no matter how many times I tried, the application wouldn’t let me login from my phone. 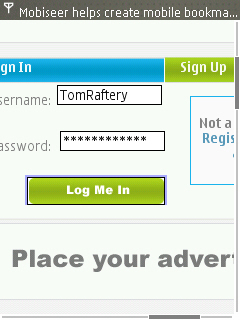 I entered the correct account details but no matter how many times I clicked the “Log me in” button, nothing happened. Conor seemed to have a more positive experience with mobiseer on his N70 and he wrote a much more detailed review over on Blognation. When they do get these wrinkles ironed out, mobiseer will need a Firefox plugin for adding bookmarks to make it as easy as possible for people to add bookmarks. Tom, I’m guessing that you ran into same problem as I did on the N770 which is incorrect browser detection. Try http://mobiseer.mobi/xhtml and you should get the mobile version of the site. Thanks for writing about Mobiseer Tom! Sorry to hear you had a few problems with it; but the link that Conor directs you to above should help. This is the Beta release of Mobiseer, and we will continue to iron out a few issues. As always Nubiq continues to encourage feedback and interaction from our users … so keep to comments coming! We’ve had a look at your account on Mobiseer. When you bookmark a site on Mobiseer this site is not automatically stored in your mobile space, for mobile viewing. To select this bookmark for viewing on your mobile phone go to the “My Mobile” section and drop and drag it into you mobile phone. and thank you tom – about your blog.